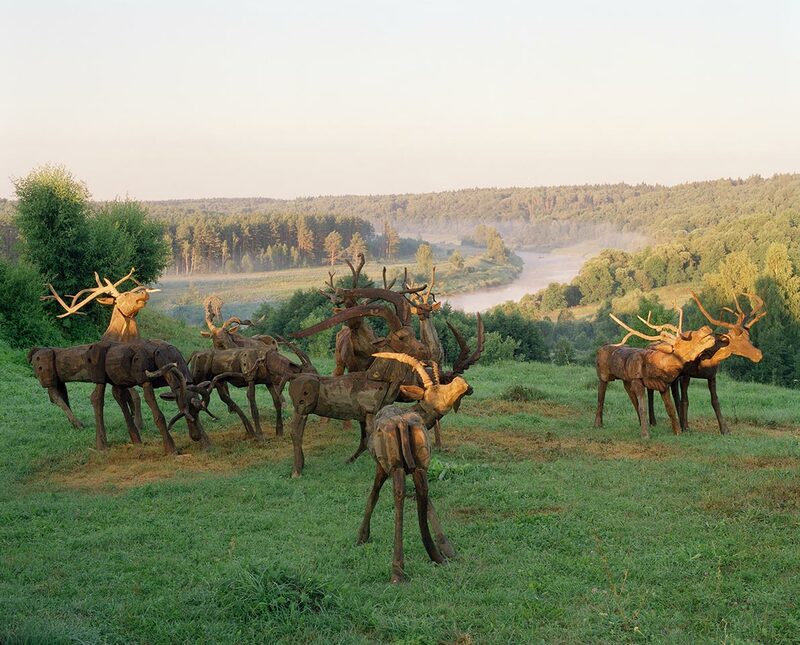 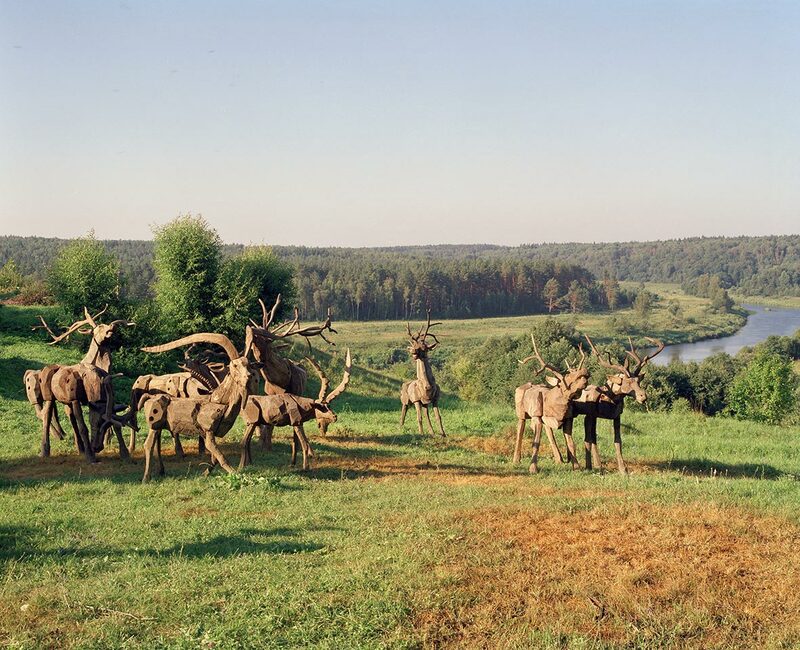 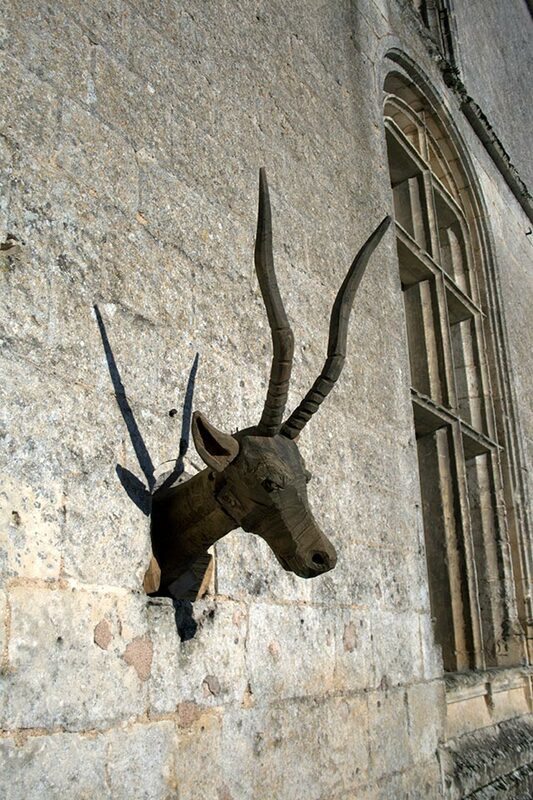 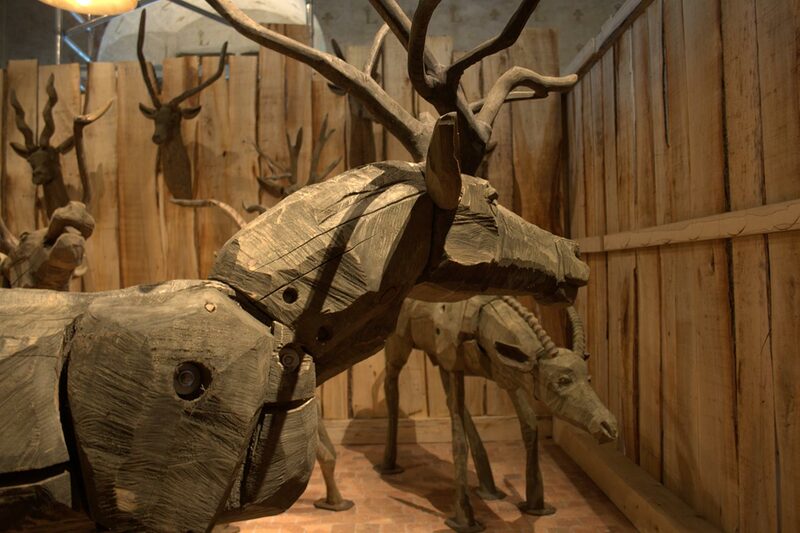 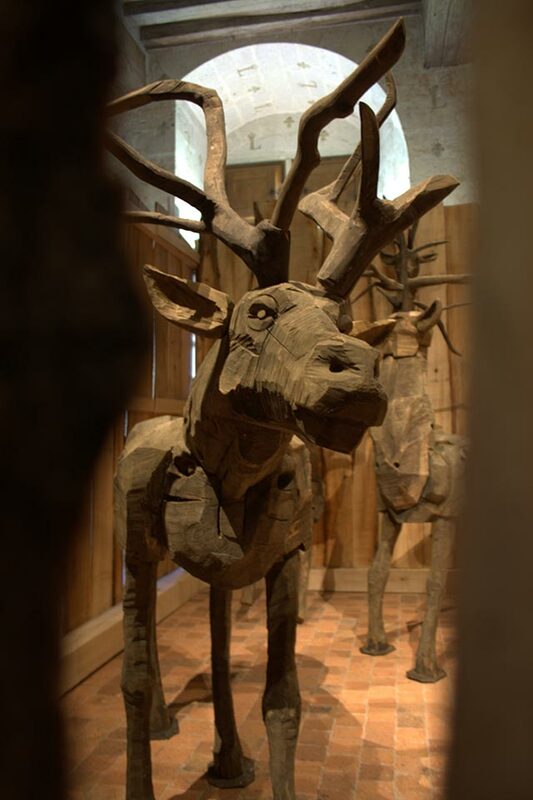 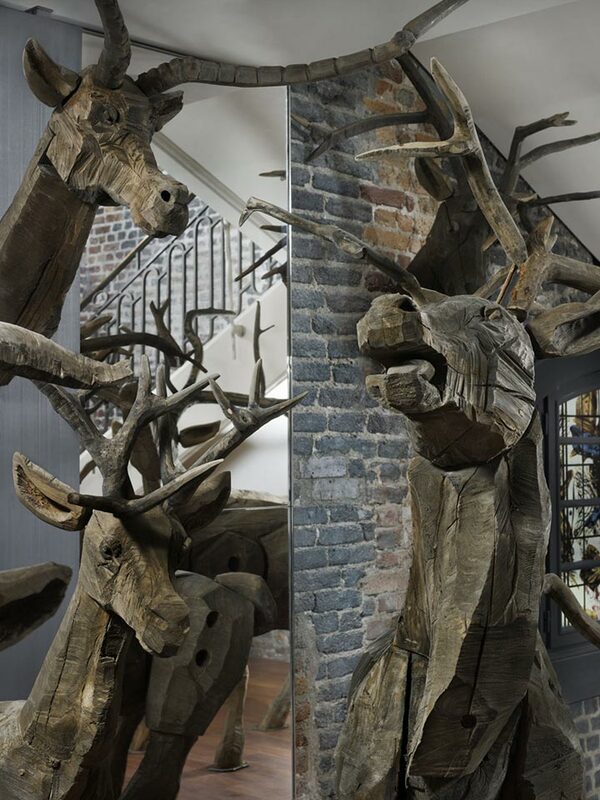 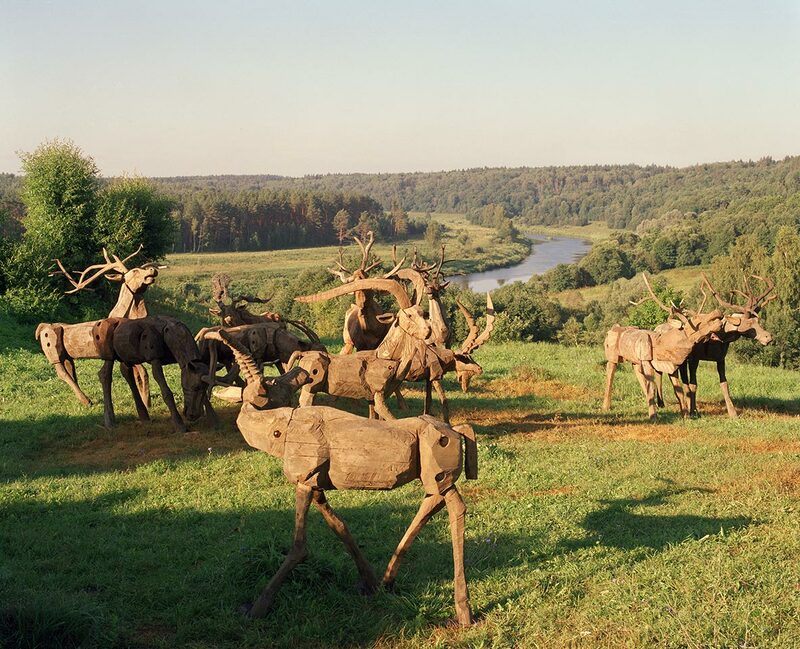 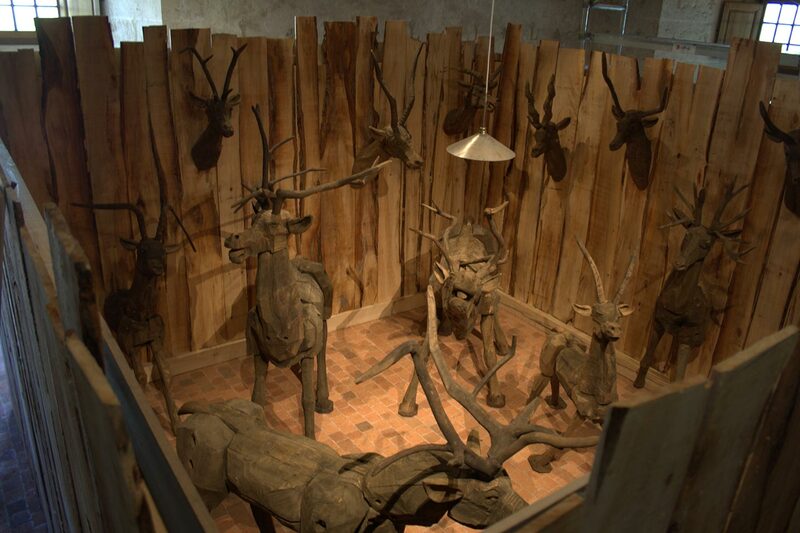 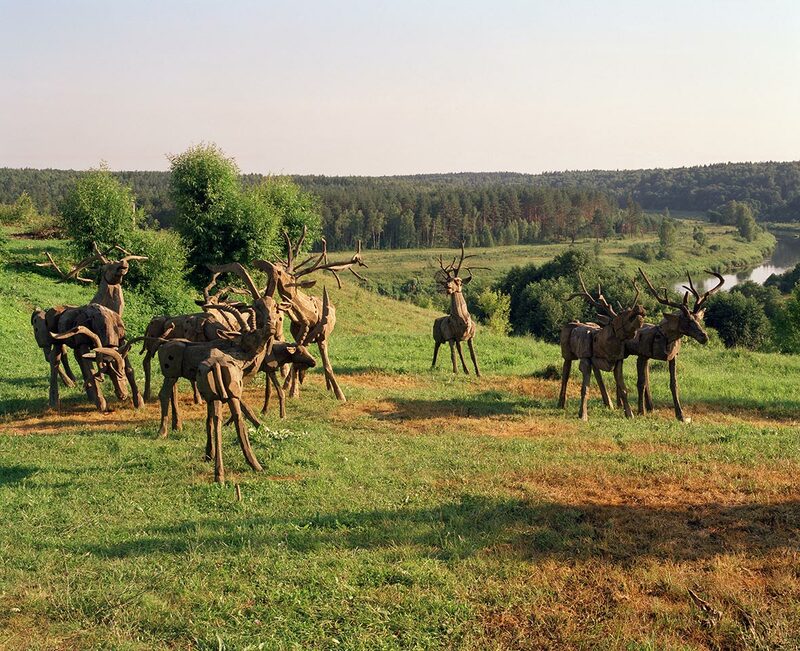 The hunting trophies were thought by Nikolay Polissky, as a wooden sculptural composition. 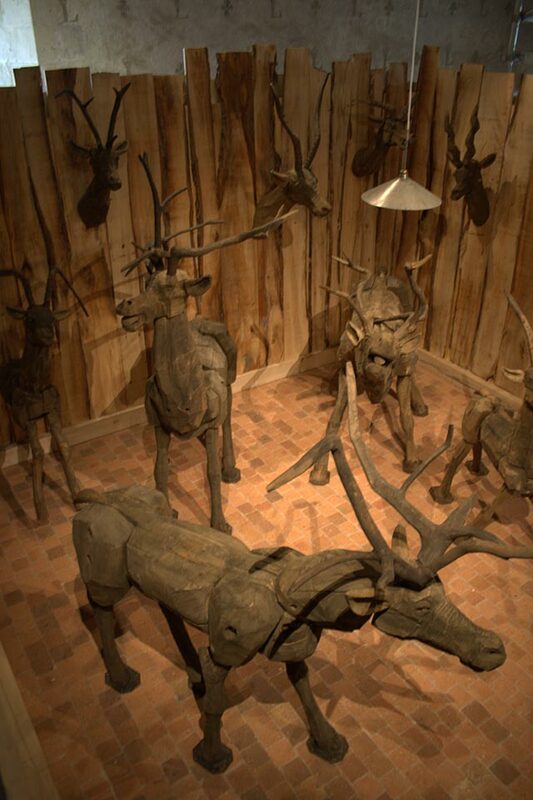 Set of various animals in the form of heads and semifigures on a wall, full body sculptures standing on four feet. 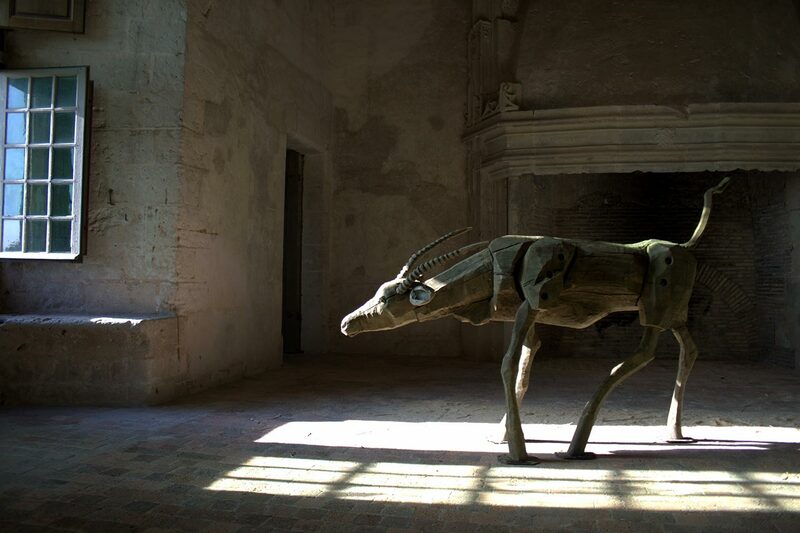 The project already existed in sketches for a long time, but has found a place for an embodiment only this year. 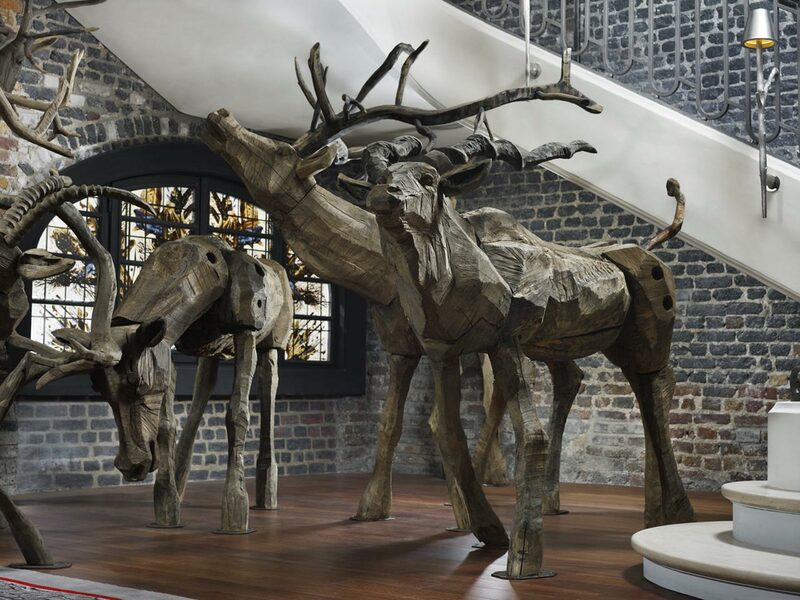 Designer Philippe Starck has chosen it, as an art installation, for the hotel redesigned by him in the center of Paris, Le Royal Monceau. 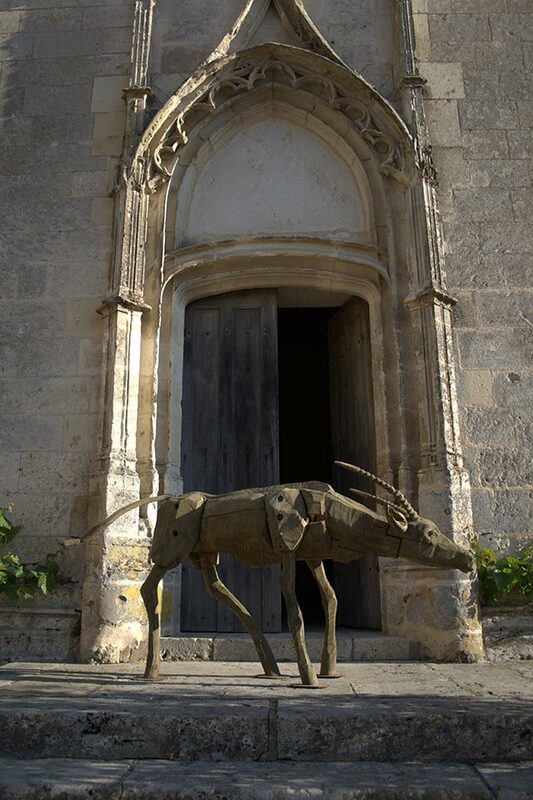 The hotel shows the idea of luxury palace with a passion of Frenchmen to art and high culture. 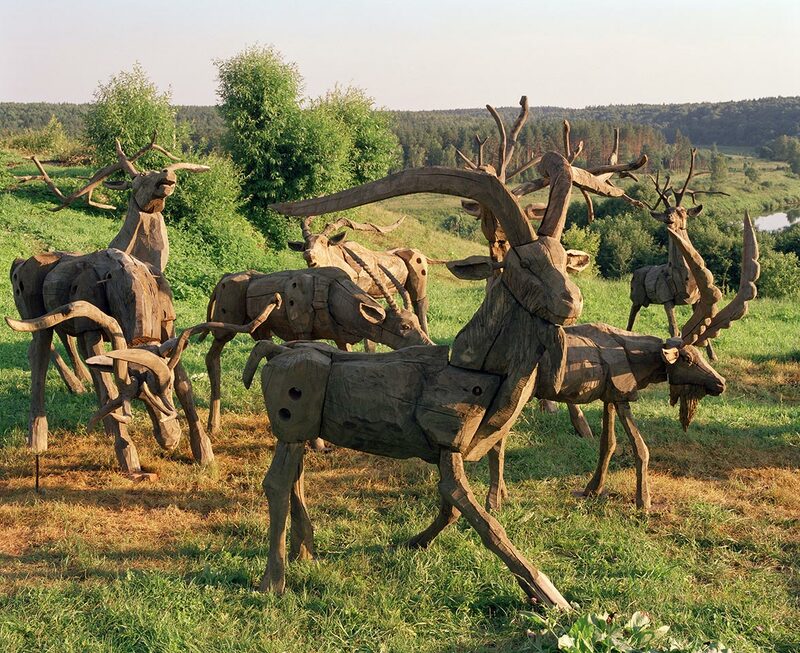 All this certainly creates a noticeable context for rough and rural sculpture of Polissky.